but it is NOT a real picture, ofcourse. The picture is good. Is it original or artist’s creation. 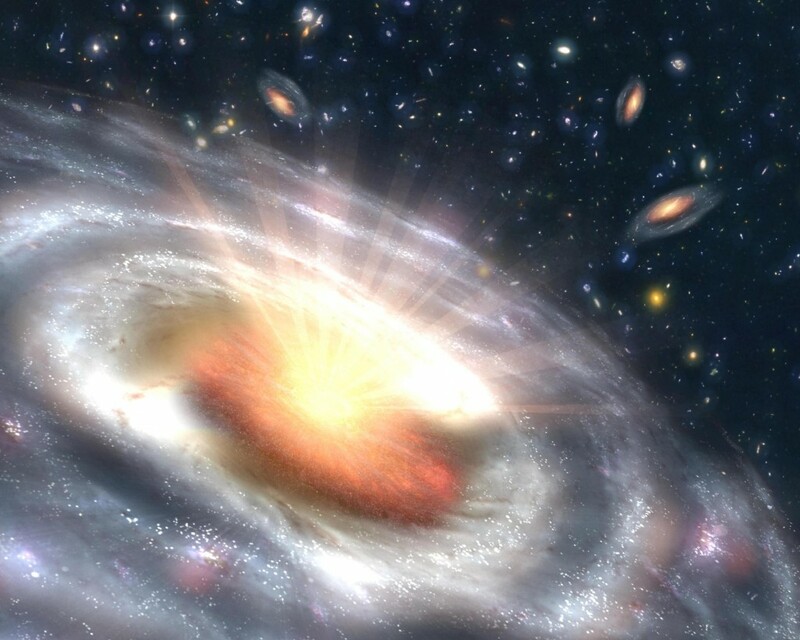 I understand blackholes draw the objects including light rays towards it. But this picture appears to be radiating rays from the center. sorroundis are stars or galaxies ?